Looking for a healthy and satisfying breakfast packed full of flavor? Keto mini frittatas fit the bill! They just sound fun and fancy, don't they? Great for an everyday meal, mini frittatas are also a welcome addition to celebratory affairs, such as Mother’s Day brunch or birthday breakfast. 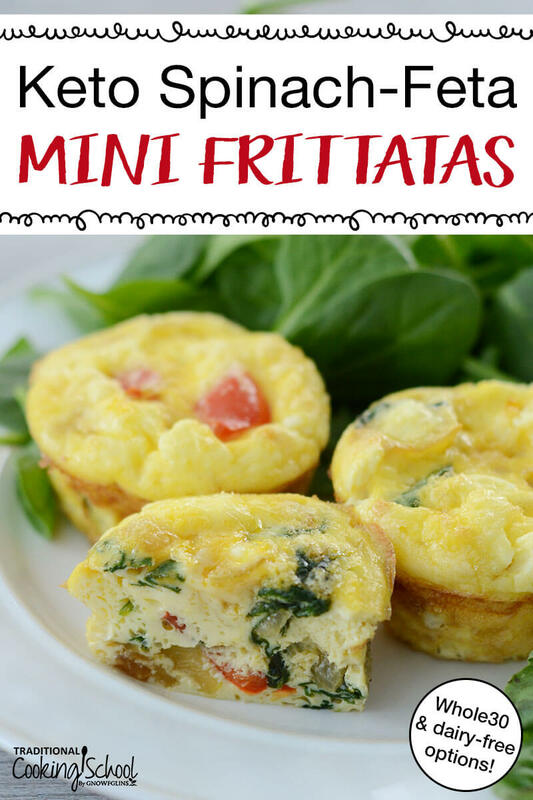 Even though I planned these as breakfast food, mini frittatas are perfect for brunch or lunch as well. In fact, they fit perfectly in a lunch box alongside a salad for a meal on-the-go. 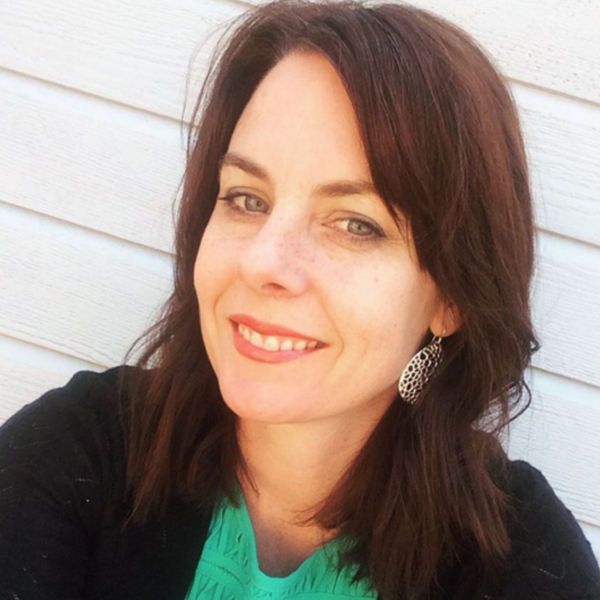 If you're Keto or Trim Healthy Mama, enjoy this recipe as-is! It makes a delicious THM:S brunch or breakfast. If you're dairy-free, Paleo, or Whole30… simply omit the butter and cheese in the recipe, according to the instructions below. Looking for a healthy and satisfying breakfast packed full of veggies? Keto mini frittatas fit the bill (also including Whole30 and dairy-free options)! Fun and fancy enough for a Mother's Day brunch, these spinach and feta baked egg muffins are easy to customize to include chorizo, smoked salmon, sausage, asparagus, bacon, or ham and cheese... the sky's the limit! If you want, make them ahead of time and store in the freezer for low carb snacks or lunches on-the-go. Sauté onions and peppers until softened, about 5 minutes. Add spinach and basil. Stir to combine. Cook until wilted, about 2 to 3 minutes. Grease muffin tray generously with butter or line with parchment paper muffin liners. Divide cooked vegetables evenly between the muffin cups. Sprinkle each muffin cup with 1 to 2 teaspoons of feta cheese. In a large measuring cup or small bowl, whisk together eggs and milk. Pour egg mixture over vegetables evenly. Bake in preheated oven for 15 to 20 minutes until eggs are firm and tops of frittatas are slightly puffed. Remove from oven. Serve immediately or allow to cool, then refrigerate for a maximum of 3 to 4 days. Serve with a side salad, fruit, and/or bacon. I’ve included vegetables and feta cheese in these keto mini frittatas, but you could easily add sausage, ham, or bacon if desired. Feel free to omit the cheese. Or, substitute for goat cheese or shredded cheddar. These mini frittatas are made in a regular-size muffin pan. The number of eggs in this recipe fills each muffin cavity to the very top. If you prefer smaller (shorter) frittatas, divide the mixture between two muffin pans (for 24 frittatas). It is important to grease the muffin pans generously in order to remove the frittatas without them sticking to the pan. Parchment paper muffin/cupcake liners make it even easier. I highly recommend them as a major time saver! 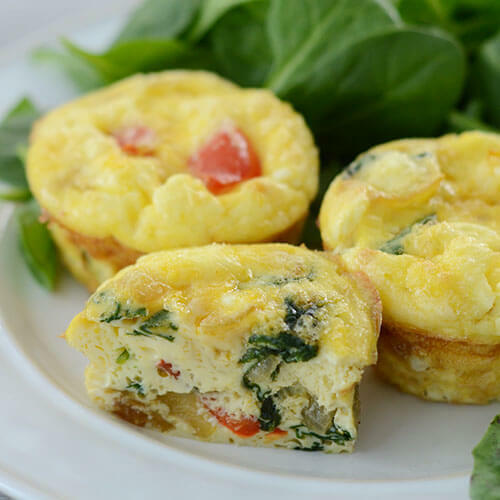 Since these frittatas are made by adding cooked vegetables to each muffin cavity, then pouring the egg mixture over the top, they are very easy to customize. Simply add different veggies or meat to each frittata for extra variety or to suit the preferences of family members or guests. I have included three cups of spinach in this recipe, but there is room for more! If you enjoy spinach, feel free to add another cup or two. This is a great recipe to make with kids. They can grease the muffin pan, spoon veggies into each cavity, and sprinkle feta cheese over the top. Kids can also crack and beat the eggs and even pour the egg mixture with a little help (depending on their age and skill level). What is your favorite way to enjoy eggs for breakfast? Will you try these Paleo Mini Frittatas?